Long ago, the Asi Sword, a legendary weapon of untold power, was stolen by a group of pirates. While making their escape, however, a violent storm swept over their ship and they disappeared without a trace. Rumor has it they were shipwrecked on the coast of India, but no one has seen evidence of the disaster until now! Your team of archaeologists has arrived on the scene in search of the artifact, but unluckily so has a team of ruthless treasure hunters! You’ll need to find and solve the mystery of the Asi Sword quickly, otherwise, it might soon be lost again! Though we were unfortunately disappointed by The Experiment, Shipwrecked came highly recommended, and we definitely wanted to give Codescape another shot! The initial feeling we had about this room was definitely more exciting, as the room was very elaborately decorated, with a Hollywood style set that evoked feelings of a haunted jungle shipwreck and displayed several interesting set pieces to puzzle with. Puzzles flowed well from one to the next, and there was no ambiguity or guessing required. A worthy challenge was presented, however, as this clarity didn’t make things too simple for us. A nice mix of non-linear interactions allowed for several spots where our team of six were all working together throughout, with very little downtime. Themeing was spot on, and provided a spooky vibe through theatrical lighting and set design coupled with a slowly developing story that immersed us in the mystery of the Asi Sword. Teamwork was rewarded heavily, as many set pieces demanded we solve puzzles by communicating effectively. 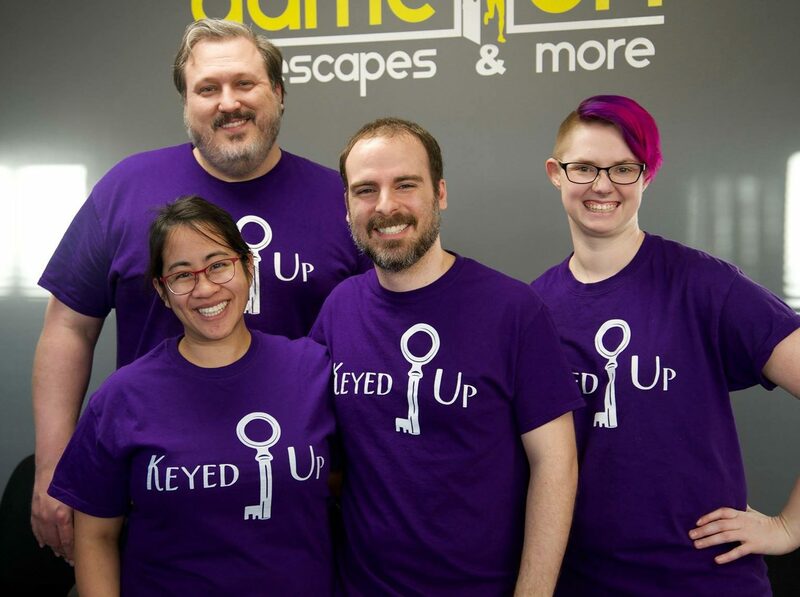 One large scale puzzle was a the final requirement to get to the next stage of the game, and while our whole team could work on it, it was a large time sink that felt repetitive after a while. Another puzzle was solved easily enough, but confused us as it was fairly finicky, requiring us to fiddle with it further even though we had the correct answer. Shipwrecked is a large scale puzzling adventure that lived up to the hype, delivering a spooky pirate adventure that was able to keep our larger group engaged throughout with tactile and satisfying puzzling. For beginners, this will be a highly accessible, but challenging adventure, and enthusiasts will enjoy the original puzzles and great flow. Book your archaeological expedition here!